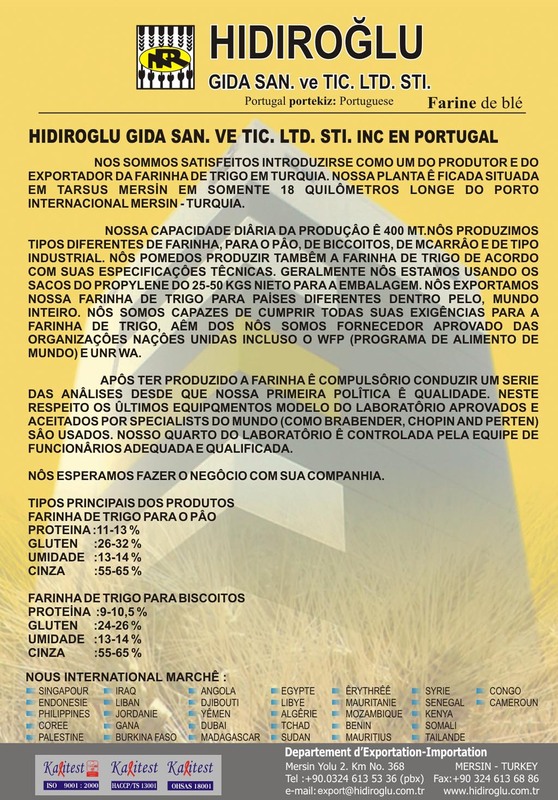 You may take a tour in our web site to gather detailed information about HIDIROGLU Flour Mills, which are among major Turkish wheat flour suppliers. We hope information about our mills and activities presented with photographs in our web site will become interesting for our visitors. 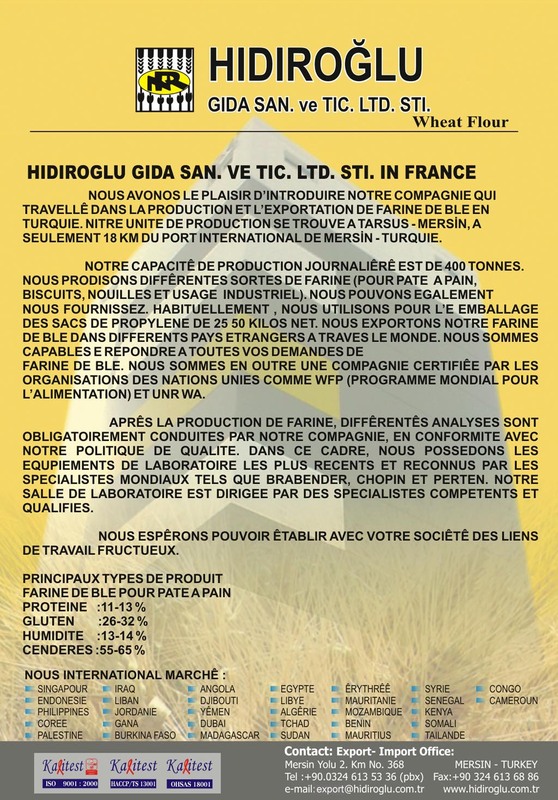 HIDIROGLU Flour Mills are one of the major wheat flour producer and exporter company in Turkey with 600 MT/day wheat flour producing capacity. Our brands are a well-known with it's quality and widely preferred by bakeries in Mediterranean regions of Turkey. Our brands are a symbol of quality flour in many countries as well. HIDIROGLU Flour Mills is exported more than 50 countries all over the world as to be mainly to Southeastern Asia, Africa and C.I.S countries. Our main aim is to serve our domestic and international customers by supplying their desired wheat flour consistently, which is also clearly stated under Quality Statement. Stability of our flour quality is provided by continuous quality control, by our experienced staff and by accumulated know how throughout years. Any comments, recommendations, questions and orders regarding with our flours or contents of our web site can be directed to us by clicking contact option. HIDIROGLU Flour Mills was founded in Tarsus/MERSIN, a town in Mediterranean Sea Region of TURKEY, by Mr. Nazmi HIDIROGLU and Mr. Ramazan HIDIROGLU in 1995, to produce wheat flour for bakery and industrial purpose. Our brands have been one of the most popular and the most prestigious wheat flour brands in domestic market. On the other hand HIDIROGLU and ANATOLIA UN which are our international brands are also very well-known in Far East, Middle East, Africa and Central America.